Every game has its own features and player on a Chess board are better prepared to deal with the world because chess is more than just a game. We can learn a lot from this game. Chess is a two-player strategy board game played on a chessboard, a checkered game board with 64 squares arranged in an 8×8 grid. The game is played by millions of people worldwide. Each player begins with 16 pieces: one king, one queen, two rooks, two knights, two bishops, and eight pawns. 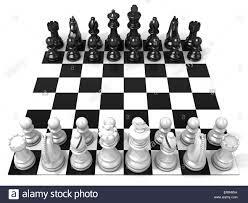 Each of the six piece types moves differently, with the most powerful being the queen and the least powerful the pawn. The objective is to checkmate. The game of chess is one of man’s great creations. The rules can seem arbitrary to a beginner but are actually the product of over 1000 years of tinkering and refining. The modern game—essentially unchanged now for about 500 years—is perfectly designed to stretch the human mind to its outermost limits, but not beyond. The board is just the right size, and the moves of the pieces have just the right amount of variety, to offer the tantalizing but never attainable possibility of mastering the game with enough time and study. We can learn too much about life-lessons from this game. Every chess player senses beauty when he succeeds in creating situations, which contradict the expectations and the rules and he succeeds in mastering this situation. Chess, first of all, teaches you to be objective. In life too, as in chess, forethought wins. Art and chess are also closely related, both are forms in which the self-finds beauty and expression. The aim of the game is always to protect your King. We can learn from this game also that no one ever won a chess match by making only forward moves in life. You have to learn the rules of the game and only then you have to play better than anyone else. Likewise in life, all that matters is a good move like that on a chess board. Attackers may sometimes regret bad moves but it is much worse to forever regret an opportunity you allowed to pass by you. Anyhow, life is a game board and time is your opponent. If you put off you will lose the game. You must make a move to be victorious. To be successful in life, you have to face the number of challenges and in-game also often to lose hundreds of games before becoming a good player. It is only the strategy to move in life and in the game but you must never let your opponent see your pieces – weaknesses – and figure your strategy only. Strategy without patience can be caustic. Patience without the strategy can be anaemic. Having both strategy and patience is a rare gift. It is said that Einstein did not like the chess game with the reasons that though it is ethical but the main goal of the game consists in beating the opponent by employing various tricks and stratagems. Frankly speaking, at the end of the day, life is a game. There are strategies you pick up along the way and some players are more skilled at it than others. We all learn. There is always win or lose at the end of day or game but it is all about enjoying the game and life as well. All win the game and life with grace and lose with dignity as the game and life changes with every move you make. It is an admitted fact that we learn little from victory but much from defeat.